While others were shivering down south we experienced another long weekend in paradise with the dry season weather showing off & reminding us just why we love where we live! On the tri front, we have a large group of athletes and supporters heading for Ironman Cairns & Ironman 70.3 Cairns this weekend. Our open water triathlon (21 June 15) is coming up soon, then we kick on to Triathlon NT's NT Long Course Triathlon on 5 July 15 (this year back to traditional distance and location). Then it's time to relax at our our Annual Awards function on 11 July 15 - this is subsidized for members and is a laid back casual family affair not to be missed. 1. We would love to hear from willing volunteers to fill the vacant positions. 3. Wetsuits are permitted for this event. Make a note of that date! Lake Bennett Resort. Info & Entry here. 2. NT Long Course - perfect timing for those training for KUC! 1. FOUND: Goggles at NT Olympic Distance. 2. Speedy recovery wishes to Billy Lynch. Billy was sick on race day with a virus and was unable to compete at Ironman 70.3 Japan! Hearing it was a pretty tough course. 3. Congrats to Stef Puszka on yet another successful appearance on the international stage, this time Ironman 70.3 Japan. 4. Spare a thought for Nikki Roddie who had to dive in to the chilly waters of Lake Geneva at Rapperswil for IM 70.3 Switzerland - all 17.6 degrees of it. Brrrr! 5. Good luck to our members competing at Ironman Cairns including Sinon Cooney, Scott Hanrahan, Hannah Johnston, Glen Scholz and Ange Castle. 6. 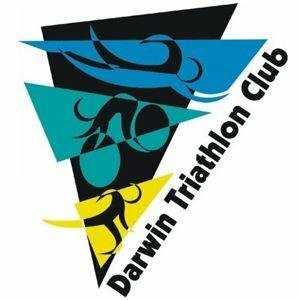 Those on the list for Cairns 70.3 include Clare Labowitch, Moira Wigley, Helen Stuart, Sarah Collins, Jac Crofton, Jemma McWiggan, Renee de Jong, Tim Green, Alex Murdock, Michael Barrett, Alex Wetten, Jason Cook, Glen Imber, Brendan Sullivan, Jim Eadie, Gary Wall and Jamie Hagan. 7. Work has commenced on the upgrade of Casuarina Coastal Reserve. 8. Spare a thought for speedy club veteran Brian Gallagher who missed the recent NT Olympic Distance event due to a nasty gastric upset. First NTOD missed by Brian since 1982. 9. Challenge Family has announced Challenge Bahrain 20 November 2015 will be a night time half. 10. Wishing fast feet to all our members taking part in City 2 Surf this weekend. Please check our Events Calendar (now in phone friendly format) and email your roster duty preference. Make it quick before all the good ones go! !